Back in 2016, the Field Tracking System (FTS) was borne out of a need to provide a means for tracking vaccinators in Cameroon for the World Health Organization (WHO). The first system was developed as a collaborative effort between eHA and WHO to address the needs for polio vaccination tracking in Cameroon. The question WHO Cameroon wanted to answer was "How do we know where the vaccinators have visited on a daily basis and how do we make adjustments to their plans while the are still in the field?" The challenge was that vaccination teams were in extremely remote and unreachable villages for several days and they only had one chance to vaccinate children during campaigns. Any locations missed had to be addressed during the campaign. The solution eHA and WHO Cameroon came up with was to use low-end smartphones to capture geo-coordinate information called "tracks" every 90 seconds to infer that locations where vaccinators stayed in for about 2 minutes, a vaccination occured. We deployed the offline system in Cameroon, powered by our robust database that contains attributes and constraints that could easily be modified and adjusted based on factors that affect where vaccinators have reached and the time spent there. Such factors include size of the house, village or community, security situation, road network, etc. 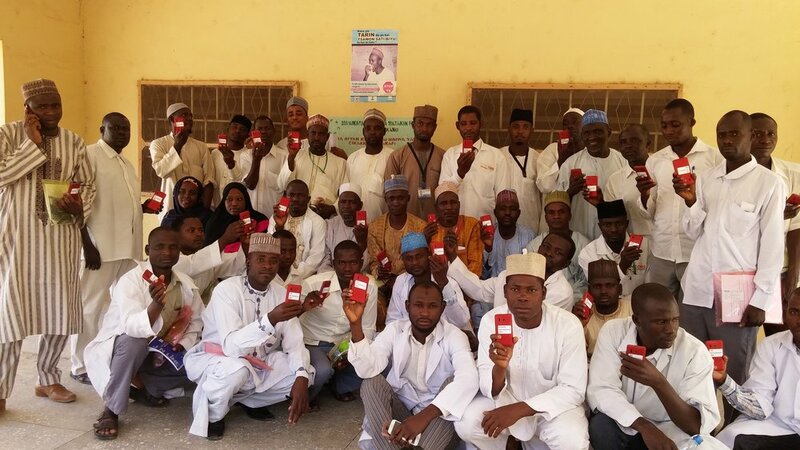 The output was an offline dashboard showing communities and households that were visited, partially visited, not visited, that the field teams used on a daily basis to assess their performance and readjust the next day’s plan during the campaign. This was great! And then users wanted more. User’s ability to define and modify campaigns by defining dates, with phones automatically sending tracks to a remote server and coverage automatically calculated. With the online and offline dashboard access, users can download reports and generate insights across multiple campaigns. We work with our users to plan field activities on a daily basis based on predefined communities and attributes across static and dynamic administrative levels in any area. Additionally, when our users need to collect sources of data while they are in the field, we can help them integrate the data with the FTS to provide more insights into the field work beyond coverage information. Case in point - WHO Cameroon & WHO Chad were able to corroborate coverage information from vaccinators with additional supervisory data that validated vaccination efforts by capturing actual number of children vaccinated using Open Data Kit (ODK) forms as an input. This means that coverage expectations of "visited" was complemented by the actual number of children vaccinated captured by ODK forms. This then helped them to further to investigate anomalies. We are now working with our users to build a generic tracking and monitoring system that can be triggered by other inputs besides geo-coordinates. Consider a system that reports coverage based on predefined user criteria and triggered by user-defined events or change in status. Ultimately, FTS will receive input from various sources both offline and online. We are excited about the possibilities with FTS and building collaboratively with our users to meet their specific demands. Evelyn Castle (eHA), Adam Thompson (eHA), and Dr. Scott McNabb (Emory University) at the lectures. 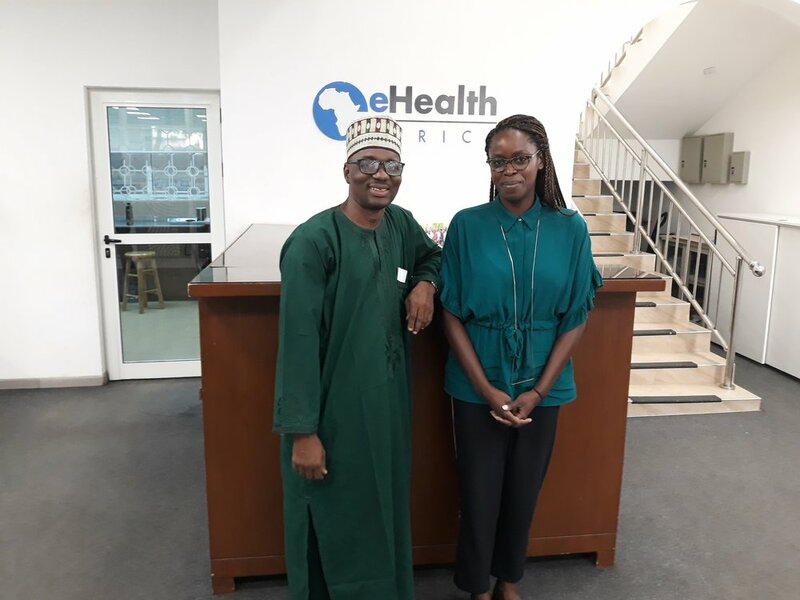 “Growth and Learning” is a core value here at eHealth Africa (eHA), which is why our Co-founders/Executive Directors, Adam Thompson and Evelyn Castle, were at Emory University delivering a lecture to emerging public health students. Traditional public health surveillance which served as a snapshot and analysis of past events. Current public health surveillance tools and platforms, like eHA’s 117 Call Center, electronic integrated disease surveillance and response, and AVADAR. These methods are able to streamline the collection, centralization and analysis of real-time data for effective decision-making. The next frontier for surveillance is grounded in mastering predictive modeling based off of data and knowledge from the past and real-time, modern-day technologies that can enable effective prevention measures. Thanks to the students and staff at Emory University.